The English Bridge Union v Sport England kicked off this week for the sake of the EBU's pastime being legally classified as a spfffort. The success of such a claim is easily measured. 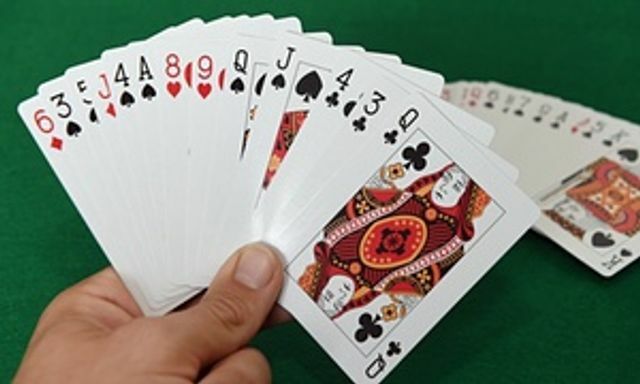 If the card game was to be recognised as a sport, grants from public funds would become an accessible source of capital, the EBU and other bridge bodies would benefit from a succession of lucrative tax exemptions and the path would be clear for the EBU to take the best players of the nation on to the international stage, to compete in the larger competitions. The current definition of the word 'sport' reads, "an activity involving physical exertion and skill in which an individual or team competes against another or others for entertainment." The important element of this definition is the presence of the word 'physical.' Now, bridge may be as mentally challenging as activities come, but physically demanding it is not. If solely looking at the present definition, surely the court could not match bridge in it's current form up to this definition. However, a number of contradictions begin to appear when applying this definition rigidly to pastimes that are presently accepted as sports in a legal capacity. Darts, ballooning, angling, billiards and even model aircraft flying are all presently amongst those pastimes dubiously classified as sports, that fall into this category. A strong argument could be made that these 'sports' require about as much 'physical exertion' as bridge does? The EBU argue that it's time bridge got the recognition it deserves and is finally brought into line with pastimes of a similar ilk and that currently enjoy being recognised sports. Sport England are refusing to recognise bridge as a sport simply because it does not involve 'physical activity'. This did not go down well with Mr Justice Mostyn, who in April granted the EBU permission to seek judicial review on the matter. Commenting on the matter, he admitted that he himself enjoyed a game from time to time before stating: "You are doing more physical activity playing bridge, with all that dealing and playing, than in rifle shooting." It is comparisons of this sort on which the claimant's case surely rests because here a point undoubtedly exists. Speaking ahead of Tuesday's hearing, a spokesman for law firm Irwin Mitchell, representing the EBU, said: "Chess has already been recognised as a sport by the International Olympic Committee and was demonstrated at the Sydney Olympics in 2000. It was also included in the 2006 and 2010 Asian Games and is being considered for the Pan-American Games.